The Good Samaritan Hospital was a 225-bed acute care facility with an active staff of 250 physicians. Supplementing the staff are more than 800 volunteers who annually donate more than 50,000 hours of time to enhance patient care. The hospital changed it’s name to MultiCare Good Samaritan Hospital, however, it is still located in the same location in Puyallup. The building was also re-vamped during this process. As early as 1906, Ezra Meeker had put his “Meeker Mansion” up for sale after the loss of his hop fortune. It was also during this time Ezra’s wife’s Alzheimer’s disease progressed to the point she moved to Seattle to live with her daughter. And to know anything about today’s current hospital, we need to know a little about the communities first hospital. In 1910 the Meeker house was leased to the Bair brothers to be used as a Sanitarium. The first hospital in Puyallup was apart of the Meeker Rest Sanitarium. Opened in 1910, the Sanitarium was located in the Meeker mansion, during a time which it stood empty. After about a year, the Hospital/Sanitarium was deemed financially unsuccessful, and a new Administrator was appointed. 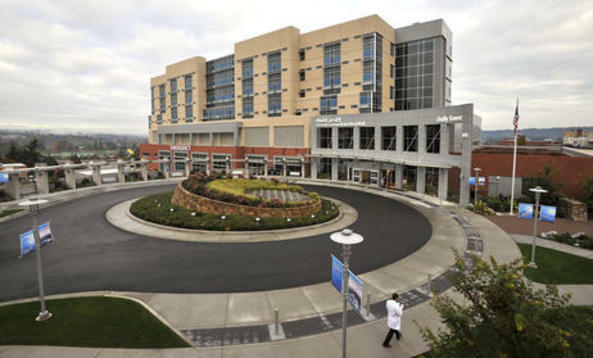 Patient care improved, but it still could not compete with Tacoma hospitals. By 1915, the Mansion was sold, further adding to the need for a modern hospital for the growing city. It was that same year the Ladies of the Grand Army of the Republic turned the mansion into a home for surviving widows of Union soldiers of the Civil War. Finally, in 1922 five area doctors (Raymond Morse, F.F. Cullen, W. Karshner, S.D. Barry, and C.H. 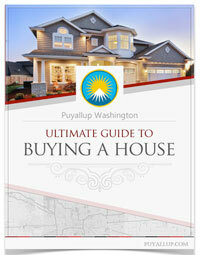 Alyen) opened the Puyallup Clinic, a community hospital they build with their own money. The building is still standing in the 100 block of 4th Ave. NW. 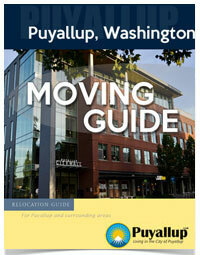 In 1935, the Clinic was renamed Puyallup General Hospital. However, it was still a financial failure. So, in 1951, the Lutheran Welfare Society took over management of operation, and again changed its name to the now familiar Good Samaritan Hospital. The Lutheran Welfare Society, at this same time, also owned a financially floundering hospital on the property today’s hospital stands. Because care was limited in scope to Diseases of Old age, along with psychotherapy, this limited patient care was threatening the financial heath of the hospital. But now, with their downtown hospital filled to capacity, the decision was made to consolidate both facilities on its current site. Now, residents had one location for both their health and mental health needs. Whether your delivering books to a patient, or playing with a baby with a broken arm, your smile will make it a better day to those who you help. Good Sam is the regions premier hospital, but always is on the lookout for warm and caring volunteers to make the patients stay’s at the hospital the best it can be. Good Samaritan’s Lab is a full service laboratory, including hematology, chemistry, microbiology, a blood band and pathology. The Lab is staffed 24-hours a day to serve inpatients, outpatients and physician office needs. Using pharmaceuticals with radioactive isotopes attached and gamma cameras, diagnostic procedures such a s bone scans and cardiac studies are performed by technologists under the supervision of a physician who is a specialist in nuclear medicine. State-of-the-art MRI magnet and imaging unit. Diagnostic X-ray, CT scans and Ultrasound procedures are carried out by technologists under the supervision of a physician who is also a specialist in radiology. Vascular testing is usually used for peripheral vascular disease, abnormal spastic changes in fingers toes, and other related conditions. Fully staffed by board-certified emergency physicians and nursing personnel, the Emergency Department provides acute care, cardiac, and trauma services to more than 40,000 patients each year. A telephone consulting nurse is available 24 hours a day. The hospital’s Surgical Department has a skilled professional and technical staff plus highly sophisticated technology, including several surgical lasers. This department includes Outpatient Surgery, which allows patients to return home only two to four hours after a procedure. Respiratory Therapy professionals provide care and education 24 hours each day to patients with breathing difficulties or disorders. Special services are also available for lung function studies, neurology studies, sleep studies, asthma education and pulmonary rehabilitation. Cancer patients have access to a full range of options, from diagnosis through treatment, with both impatient and outpatient services. Our 23-bed unit is staffed with specially trained nurses and caters to the unique needs of cancer patients and their families. Patients are also offered complementary therapies – music, pet and massage – to aid in their healing. Medical Psychology helps patients use their mental abilities to cope with the stresses of their conditions, control their pain with fewer medications, and make their treatment program effective. ICU provides nursing care to patients needing maximum medical attention. Staff members are skilled in the use of advanced cardiac life support. SCU provides nursing care for seriously ill patients who require more monitoring than can be provided in an acute-care unit. Cardiac rehab services are designed to help people with heart disease recover faster and return to productive lives. The program helps people with asthma, chronic obstructive disease, emphysema and chronic bronchitis return to their fullest potential. Rehabilitation services are available to persons of all ages in a variety of settings, including the hospital, clinics, home or community, depending on specific medical and clinical needs, treatment goals, available family support and resources. Impatient Rehabilitation services are provided to people who require a high level of medical care, or 24-hour rehabilitation nursing and specialized therapies. the program is managed by a physiatrist. Other members of the rehab team can include rehab nursing/care coordination, physical therapy, occupational therapy, speech/language pathology, clinical psychology, neuropsychology, social work, case management and therapeutic recreation. Outpatient Rehabilitation services are provided when the constant medical and nursing attention offered in the impatient setting are no longer required but the patient still needs therapies and/or outpatient nursing checks. Specialty services include vesicular rehabilitation, specialty clinics for seating, spinal cord injury treatment, amputation or contingency, disabled driving evaluation, hand therapy and bio-feedback. While most outpatient rehabilitation services are designed to assist with resolving recent medical concerns, we also work with people facing longer term rehab challenges and needing reassessment or re-evaluation to develop new or improved treatment plans. A dedicated pediatric rehab team is trained to assess, treat and instruct children under age 19 and their families challenged by functional disabilities caused by accidents, illnesses or congenital problems. Work Rehab offers therapy specifically designed to get injured workers safely back to work. A variety of rehab specialists evaluate and re-train people in new ways of doing their jobs and applying new work-related skills. Services include performance-based physical capacities evaluations, work conditioning and/or hardening, job specific testing and job analysis, evaluations of job-site and/or workplace modifications, injury prevention, education and consulting. This program addresses unique needs of older adults and the families who care for them. It provides individual assessment, counseling sessions, geriatric day treatment, psychiatric services, geriatric residential services, in-home behavioral health care, volunteer peer counseling and consultation and direct services in area nursing homes. Adult specialists assist with personal, family and work-related problems, such as depression, stress, anxiety and other life-adjustment issues. Support services are also provided to adults experiencing significant limitations due to mental illness. Child and Family programs are designed to meet the unique needs of children exhibiting mood, behavior or adjustment problems. A regional center providing evaluations and therapy for children with nerve and muscle disorders, birth defects and/or developmental disabilities. CTU staff provides specialized services such as physical therapy, occupational therapy, speech/language therapy, clinical and neuro-psychology, assistive technology and orthotic intervention. Established in 1966, the Children’s Therapy Unit was the state’s first hospital-based therapy program exclusively for children with neuromuscular disabilities. Helping severely disabled people achieve more independence in their daily lives. Providing consistently high-quality, in-home heath care to adults and children since 1972. Our Home Health program helps return patients to their prior level of functioning before surgery or illness. We also provide in-home behavioral health care services. Hospice care is for terminally ill patients wishing to remain at home. Medical care is provided as well as a respite for the family and bereavement follow-up. HomeCare provides trained staff members to care at home for clients of any age. This can include in-home respite for the caregiver, personal care to an elderly client or continuous skilled care. Sleep-over care is also available. Offering a variety of residential option to young adults and older adults. These services range from structured programs with 24-hours supervision to independent living. The continuum of services includes congregate care facilities, intensive supported living services, short-term crisis respite beds, shared independent living houses and subsidized supported living apartments. Periodic or daily respite care for non-housebound clients. This program provides teenage parents with the help they need for every aspect of pregnancy and coping with a baby and parenthood. A wide range of classes, support groups, and many things necessary to help out the young parent are available. Providing nutrition, health information and vouchers for nutritious food to pregnant women, breast-feeding women, infants and young children. Provides access to the community for people with developmental disabilities. Staff members take clients to local stores and accompany them on social outing to help them build relationships with others. Offers health-promotion and disease-prevention activities by providing health screening, child and adult immunizations, and health education at schools, senior citizen centers and businesses. Offers regular classes, programs and seminars especially for seniors. Provides family-based advocacy, health and education services. Also includes parenting education, nutrition services, family support services, immunization services and information and referral. This program provides a variety of services to older adults and their families to help them comp with normal and disease-related functional disabilities. Telephone information and referral services connect families to services in the community and at the Hospital. Nursing and social work staff members provide in-home assessment and help families find the care they need, deal with difficult decisions and understand care options. Other services include support groups, Lifeline emergency response, and Alzheimer’s and caregiver library, overnight respite services and classes on caring for aging parents and dementia. This senior member program helps older adults stay health by providing access to services, health education classes, healthy activities, and senior-specific educational materials. Good Samaritan regularly provides a wealth of information regarding health care, disease-prevention, nutrition and wellness through its Community Education Classes. Patients enter the Healthcare Resource Center programs through a physician’s referral. The center provides walk-in services and care for patients when those services are not available at their doctors office. This service features symptom-based telephone triage, physician referral, resource coordination and health information provided by consulting nurses. Experts from Good Samaritan Community Healthcare are available to speak about a wide range of health care topics at churches, schools, businesses and community groups. Please note: This information is to used as a historic archive for information. Please call the hospital directly for any questions. This information above may or may not have changed. (253) 697-4000.